Who likes eating pancakes in your PJ’s in support of a great cause? We do, we do! 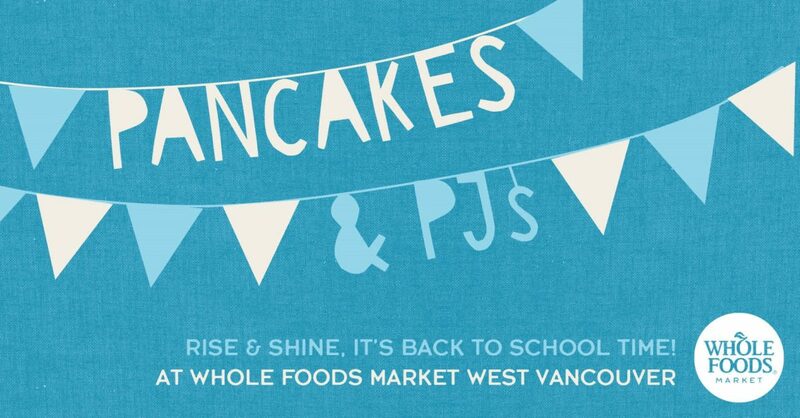 You’re invited to join the Healthy Family Expo team at Whole Foods Market West Vancouver on Saturday, September 10th for their Pancakes & PJ’s breakfast fundraiser for the Whole Kids Foundation. We’ll be there with our kiddos ready to scarf down a delicious breakfast in support of a cause that’s near and dear to our hearts. 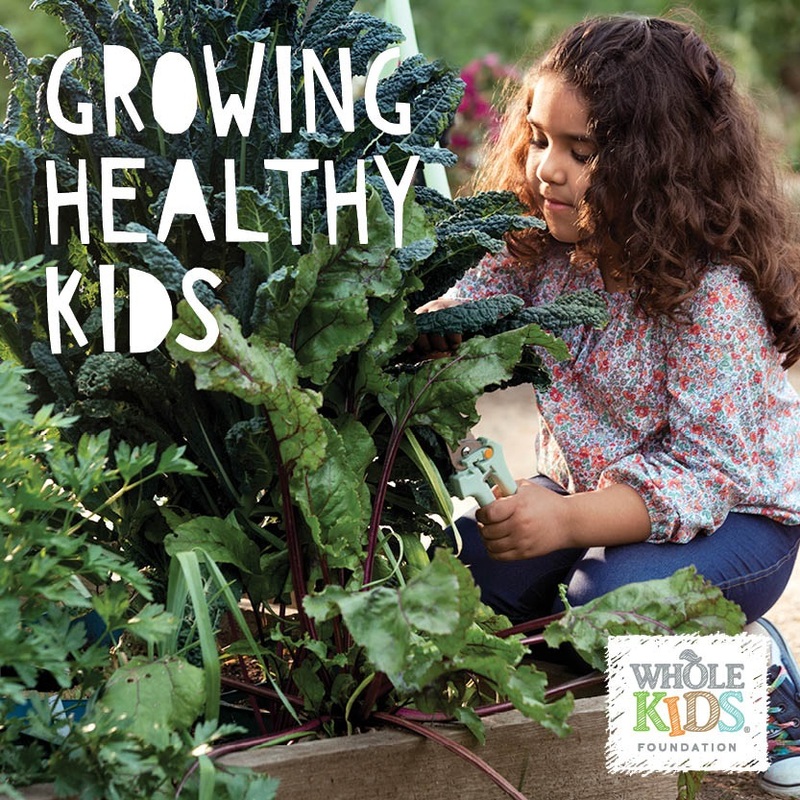 The Whole Kids Foundation is a registered non-profit devoted to improving children’s nutrition and wellness with the goal of ending the childhood obesity epidemic. The funds raised at this event stays in Canadian schools through school garden grants. Interested in learning more about applying for a garden grant? Applications are open from September 1st, 2016 to November 30th, 2016. Visit their website or learn more at the Pancake breakfast fundraiser on September 10th! Cost: $5 for Gluten Free Chef Pancakes, fresh fruit and a beverage. 100% of the funds raised will be donated to the Whole Kids Foundation. Details: Bring your family and friends to join us for a PJ & Pancake Breakfast! Stay until 3pm to enjoy samples and Back to School activities too! And for your chance to win a $50 pancake making kit from the lovely folks at Whole Foods Market from Sept 7 – 9, head over to our Expo 2017 Facebook Event page for details! Sir William Macdonald Elementary School would benefit from The garden grant ! I would love to see this garden grant go to Franklin Elementary School in East Van! Holy Cross Elementary School in Burnaby would greatly benefit from this. Thanks for the chance! It would be great to give a grant to one of the inner city schools in Surrey. Holly Elementary, Hjorth Road, Harold Bishop are a few that would surely benefit from a wonderful program like this. This would be great at the central Surrey school Prince Charles Elementary. I would love to see this program at MountainView Elementary in Coquitlam!!! Dorothy Lynas elementary could probably use this! Aspenwood Elementary in Port Moody! I think Garden City Elementary in Richmond would definitely benefit from a Garden Grant! I think False Creek school would be a great place for a garden! I would like to see Lord Roberts in Vancouver get the support. Herbert Spencer would benefit greatly! My son’s school Langley christian Elementary would benefit from the garden grant. So many of the kids would benefit and enjoy this! Whichever school in daughter gets accepted in! I would love to see our school Clevland Elementy receive the garden grant.